Just six months ago, Elise Kornack was the chef and co-owner of one of the most unique tasting menu restaurants in the world, Brooklyn’s 12-seat, Michelin-starred jewel box Take Root. Today, she’s enjoying a breather in her new home in the woods of Saugerties, New York, two hours north of the big city, where she’s been reflecting on her life and career and plotting her next professional chapter. Andrew recently threw his mics and recording equipment into his trunk and drove up to spend a Sunday with Elise and check in on her state of mind and future goals. 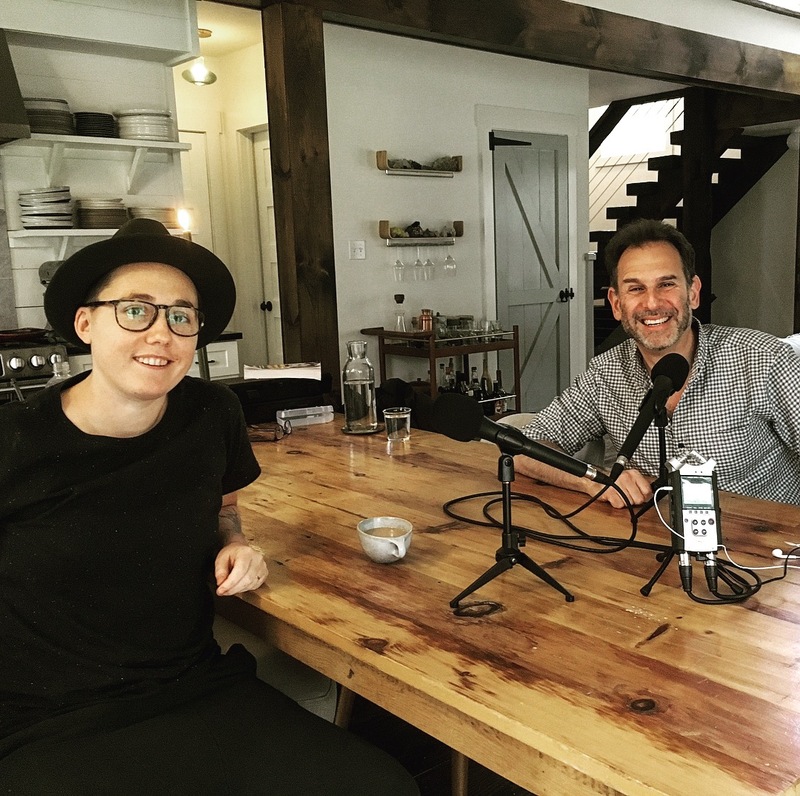 She shared some previously guarded details about her reasons for shuttering Take Root and took us through the evolution she made as a young woman from artist to line cook to chef. Here’s a thought: If you like what you hear, please tell your chef-fascinated friends, subscribe to Andrew Talks to Chefs (it’s free) on iTunes or Stitcher, follow us on your favorite social media platforms @ChefPodcast, and/or review us on Apple’s podcast store. Thanks for listening!